With over 15 years experience in Property Management, Tara's qualities and skills are reflected in her successes to date. She holds a strong belief that building a reputable business is not just about numbers, but the development of enduring relationships and the delivery of quality service - a philosophy that Tara and her experienced, like-minded team pride themselves on. Essentially, the key to Tara's success is her commitment to deliver exceptional service to both owners and tenants to ensure they feel equally respected. Tara understands that maintaining an investment property requires more effort than just collecting rent; it is a balance between three key factors: open dialogue between all parties, maintaining market rental rates, and tenant longevity. Tara is committed to the establishment and preservation of long-lasting relationships, which has been reflected in her existing loyal client base. 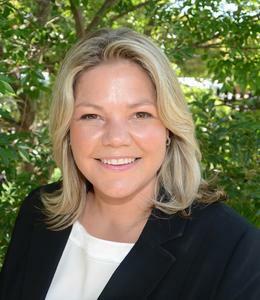 For the past fifteen years Tara has thrived in the real estate industry, commencing her career in 1999 Tara quickly identified a passion for property management seeing her progress from Reception to Department Manager, spanning all responsibilities, and now Director of TLH Real Estate. Tara is a highly respected member of the Melbourne property management industry with a solid reputation for going above and beyond to meet the needs of her clients. Through an established network of like minded professionals Tara is able to continuously improve her knowledge and skills to deliver the very best service to owners, vendors, buyers and tenants alike. The key to Tara’s success is the importance she places on establishing relationships. Tara believes both owners and tenants should be treated respectfully, and that matching the right tenant to the right property is crucial to the success and longevity of a tenancy. Open dialogue, negotiating with vigour, and anticipating matters before they arise are the foundations of Tara’s property management style - an approach that provides her clients with service satisfaction and peace of mind. Furthermore, it is Tara’s extensive industry knowledge and in-depth understanding of the residential tenancy act that earns the trust of owners and enables her to successfully navigate the inherently complex and increasing competitive real estate market.